Home Solutions - KAFEA TERRA S.A. The ultimate capsule system for authentic illy espresso. An innovation amongst the capsule systems. The special patented design, as an independent professional extraction unit, strengthens the body, aroma and the coffee’s cream. 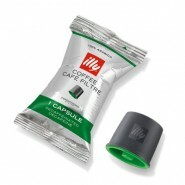 The coffee flows directly from the capsule into the cup, ensuring maximum cleanliness and convenience. The result in your cup? Excellent. 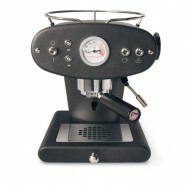 With the easy-to-use “IPERESPRESSO”, these high technology and aesthetic machines are not only pleasurable when consuming an espresso but also when preparing it as well. Extrction of the coffee oils. Rich body and intense aroma. 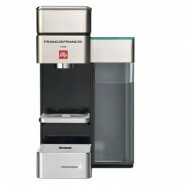 Integrated in the beverage not only on its surface. IPERESPRESSO CAPSULE. FOR ESPRESSO & FILTER. It is available in several types based on the degree of roasting and grinding of the coffee as well as the single-variety blends. Δύο φάσεις εκχύλισης ... H αρμονία και η ουσία του χαρμανιού illy σε ένα φλιτζάνι espresso. Aπόλυτη ισσοροπία γεύσης, υφής και αρωμάτων. Η κάψουλα φίλτρου διαθέτει ένα ειδικό φίλτρο σε μικρογραφία για ένα φλιτζάνι καφέ, εξαιρετικά αρωματικό και στη σωστή θερμοκρασία. A collection of 6 blends of unparalleled quality 100% ARABICA. From a different country of origin with different flavor characteristics. Minimal design, easy to use, advanced technology. 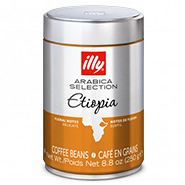 Coffee 100% Arabica of a particular region and country of origin. Ground, climate, altitude and cultivation conditions give different organoleptic characteristics and a special character in the cup. 3 types in metal cans of 250gr beans. 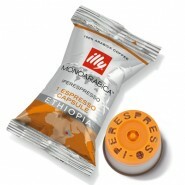 3 types in iperespresso capsules in cans and in individual packaging. The origins of taste. One ingredient at a time. We have perfected the finest ingredients of the unique illy blend so you can enjoy them individually. the floral notes of Ethiopia, the caramel of Brazil and the dark chocolate of Guatemala. 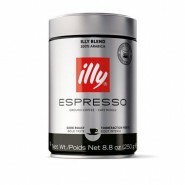 A cup of illy coffee is only the end result of a long and well-structured effort. The fruit of an enduring passion for excellence that began in 1933 by Francesco Illy, in Trieste, Italy; the city-port where Europe was first introduced to coffee. Francesco Illy had a vision to make the best coffee in the world and to share it with the entire world. This is how illycaffè was born. 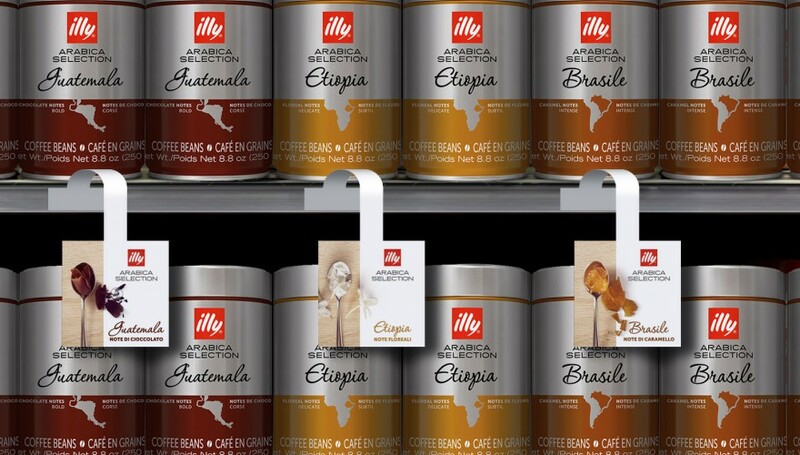 The reins of the company were handed down to Ernesto Illy, son of the company’s founder, who created a research laboratory that later became the breeding ground for the development of patents and innovations. Ernesto’s passion for fine coffee and its diffusion made international media refer to him as “Papa Bean” and “The Herald of espresso”. Three generations of the Illy family have been leading the company according to the vision and traditions of the brand. Consistent to the same vision for over 80 years of effort and research with dedication to quality and the pursuit of perfection. Illycaffè’s headquarters are located in Trieste. 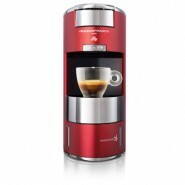 The company produces and markets only a fine quality blend made of 9 ingredients of authentic Arabica coffee. The unmistakable taste and aroma of illy are born from the perfect balance of these ingredients which come from South America, Central America, India and China. The taste and aroma are always the same in every cup of coffee that is consumed in any country of the world. 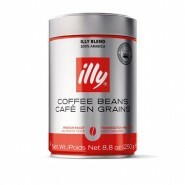 The illy blend is available in beans, ground coffee, capsules and E.S.E. pods and is sold in more than 140 countries. Mastrojanni (estate vineyard of Montalcino). Shareholder in Agrimontana (confectioner of high quality products, marrons glacés and jams). ISO 9001 certification concerning the company’s quality system. ISO 14001 certification concerning environmental consciousness. To satisfy all those who look for quality in their lives through research for the best coffee nature can offer, while applying innovative technologies and seeking beauty in everything we do. 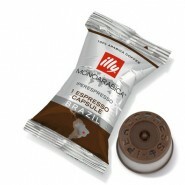 Illycaffé’s priority is for its name to be identified as a landmark for culture, know-how and excellence in espresso. An innovative company which will always recommend the best products and the best places for their consumption, in order to develop and always be the quality leader of the sector. The company’s commitment to improvement, transparency, sustainability and personal growth. The quest for perfection. The passion for excellence. The love for beauty, quality and morals. A structured system of values that is resilient to time and based on transparency and the evolution of people. Illycaffѐ exclusively selects green coffee beans that come from only the best harvests of the world, working side by side with producers and acknowledging their quality; paying them above the market price. Illycaffѐ also provides continuous and highly specialized training under the expertise of Universita del Caffe. 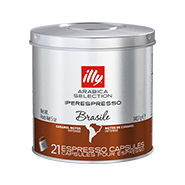 In this way, it establishes a common development path in which coffee growers see their hard work being acknowledged and are offered incentives to continue producing excellent products, while at the same time illy maintains constant availability of the best possible coffee supplies. The unmistakable taste and aroma of illy, always the same in every cup of coffee and in every corner of the world, are the result of masterly blending the best Arabica coffee varieties, coming from producing countries in South America, Central America, India, Africa and China. Thus, the best raw materials are grown and produced in full respect of sustainability. What else is there? What is the secret of the blend? The recipe. As with all agricultural products, each coffee harvest is different from the others. The aromatic characteristics of the Arabicas that illy selects can also vary, according to the harvest they come from and the climatic conditions in which they are grown, as well as the production parameters. For this reason, the recipe is dynamic. In order to always obtain the same taste, the blend unites 9 Arabica coffees, selected from about 20 origins, continuously adjusting their quantities. Illycaffѐ always creates the blend before roasting. 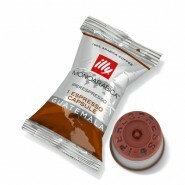 Only in this way can it achieve its fundamental goal, to maintain the harmony of the blend constant (as well as the consistency of the illy taste, and the uniqueness of the illy experience). Before being roasted, the coffee is blended. The blend guarantees the product’s absolute quality: it will have better flavor and aromatic spectrum compared to one with a single component, and will ensure the consistency of the quality, even if the characteristics of the single ingredients vary. This is one of the most delicate phases in the entire production process. It combines batches of coffee based on the desirable characteristics of the taste, aroma and body. 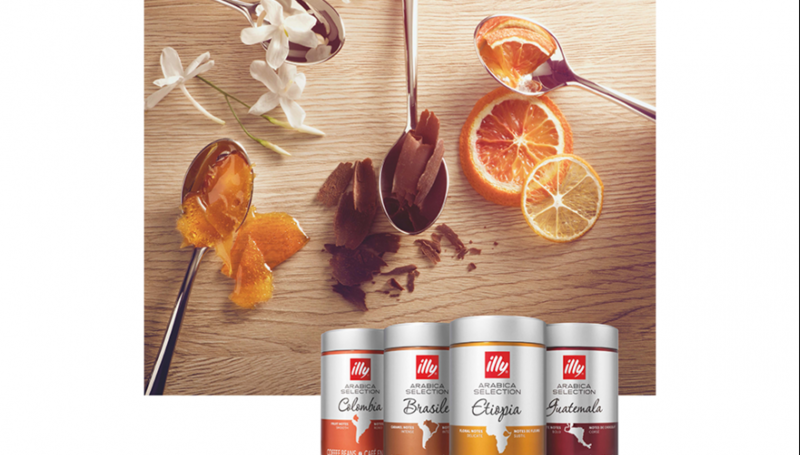 The ingredients of the illy blend reach the factory divided in batches. Each one has particular aromatic qualities, determined by the environment they were grown in and on the processing they have undergone. The batches are analyzed separately and stored in different silos, according to their aromatic characteristics. 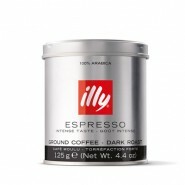 As it is known, the illy blend is made of 9 Arabicas coming from more than 20 origins. The blend ensures that the quality remains constant and the taste in the cup is always the same. This happens by following the dynamic recipe. 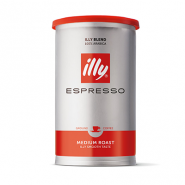 The quantity of each Arabica component in the illy blend is constantly adjusted to ensure the same balance in the final product, and hence to create the ideal cup of coffee, every day. 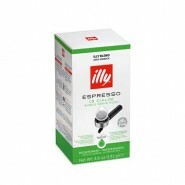 Ground espresso coffee in pressure sealed packaging so that all its organoleptic characteristics remain unaltered. 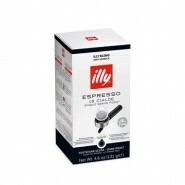 The illy blend with a grind suitable for use in all espresso machines as well as for all methods of preparation. Select it, if you personally enjoy choosing the dosage of your coffee and if you prefer the traditional Italian preparation method. 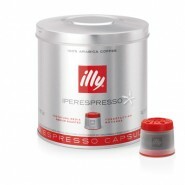 Illy espresso coffee beans in pressure sealed packaging so that all the organoleptic characteristics remain unaltered. 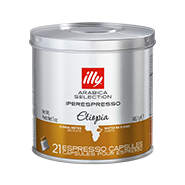 Illy coffee beans are for those who wish to prepare an espresso according to their own preferences, by intervening with the raw material, playing the role of a home-barista and transforming the simple preparation of coffee into a small ritual. A necessary prerequisite is the use of a coffee grinder. Depending on the degree of grinding there is a corresponding extraction and a difference in the intensity of flavor and aromas. 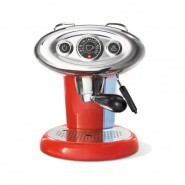 For a fragrant coffee, acidic and light, set the coffee grinder to coarse grinding. 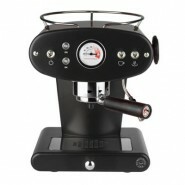 For a more intense coffee with a rich body and strong flavor, set the coffee grinder for fine grinding. Illy coffee E.S.E. Pods, individually packed so that the coffee remains fresh and unaltered maintaining all its organoleptic characteristics. Every E.S.E. 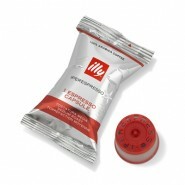 pod contains 7gr of ground coffee, properly grinded and compressed ensuring the preparation of a perfect illy espresso. Compatible with machines with the E.S.E. indication. 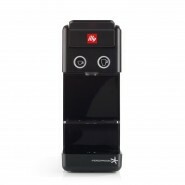 The illy blend with a suitable grinding degree for the preparation of filter coffee and espresso lungo. Ground coffee in pressure sealed packaging so that all the organoleptic characteristics remain unaltered. 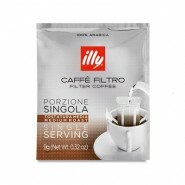 Suitable for all filter coffee and espresso machines as well as for all methods of preparation. Also available in a convenient package of individual portions for easy and fast preparation of filter coffee, without the use of a machine. Illycaffѐ enjoys a longstanding relationship with the art world, and this is interwoven in the company’s nature that believes in the inseparable nature of beauty and ethics. Cooperation between illycaffѐ and many artists is equally prosperous: it has shaped and formed our character and is immediately recognized by consumers. 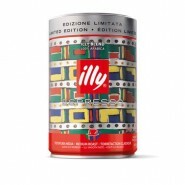 See all the collections of illy cups here.